Dr. Val Farmer is a well-known clinical psychologist and syndicated columnist, specializing in rural mental health and family relationships. 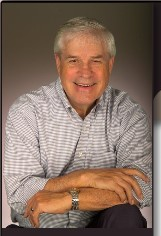 His professional background includes a PhD in Clinical Psychology from the University of Arizona in 1976 and thirty one years of counseling experience in North and South Dakota. He was an executive director of a mental health center in Huron SD for four years from 1978-82 prior to moving to Rapid City SD in 1983. Farmer lived in Rapid City for 14 years from 1983-1997 where he worked for the West River Mental Health Center and with Psychological Associates of the Black Hills. He most recently worked for MeritCare in Fargo, North Dakota for nine years. In 2006, Dr. Farmer and his wife moved to Wildwood, Missouri. Besides his work with marital relationships and rural mental health issues, Dr. Farmer has developed mediation and conflict resolution consultation services to family businesses, particularly farm and ranch families in business together. Several national farm publications have carried his ideas on how integrate a business and family perspective into a viable business structure and the communication/organizational skills involved for successful team building. Dr. Farmer started a syndicated weekly newspaper column in 1984 and was published for 28 years until he retired in 2012. His column was published in numerous newspapers in United States and Canada including Iowa Farmer Today. His column was carried by the main agriculture newspapers in the Midwestern states. Dr. Farmer latest book is “To Have and To Hold: Thoughts on Successful Marriage.” He has written two previous books, “Honey I Shrunk the Farm” and “Making the Good Life Better.” He has written numerous booklets on various mental health and rural mental health topics. His archived articles can be accessed through his website, www.valfarmer.com. Val and his wife Darlene have celebrated 48 years of marriage. They have seven children, five daughters and two sons. Currently they have 28 grandchildren. Most recently Dr. Farmer and his wife completed a two year church mission to Mongolia, returning to their home in Missouri this past July. He currently offers mediation and consultation services to farm and ranch families experiencing conflict and communication difficulties in their family businesses.